Macuphu has admitted that he was caught by surprise by the Bafana Bafana call-up. 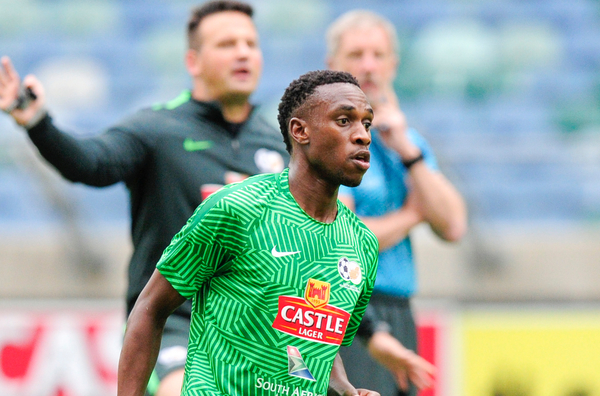 When coach Gavin Hunt called up Mxolisi Macuphu during the Bidvest Wits training session earlier this week, the lanky striker thought it was just going to be a normal chat he usually has with his coach, only to find out that he was asked to pack his bags and go out for national duty for the 2019 Afcon qualifier match against Libya at the Moses Mabhida Stadium on Saturday. “I was at training in the morning, coach Gavin called me up and I thought it was just going to be a normal conversation we normally have, but he just told me to pack my bags and leave, I was so surprised as to what is happening. But he said they will see me next week, the national team wants me,” said Macuphu. Still shocked while travelling alone to KwaZulu-Natal, it took seeing the national team bus for the striker to believe it is true and says having his teammates at the camp has made it simple for him to adjust to his first call-up in the national team. “I can’t describe the feeling, but I will just have to say that the hard work that I have put in has finally paid off. The nice thing is that some of the guys in the squad are my teammates and others I played with them before.